And their responses sparked something in me, in an unexpected way. It truly made me feel reconnected to what I love about natural living and conscious beauty. What was really struck me too – was that hearing from all of these different voices, on their personal thoughts and experiences, there was a unified message and I noticed three clear themes that came up! So let’s explore those and let’s hear straight from the makers and experts – what’s in the air for Spring 2017? Last year may have been all about the ten-step Korean skincare routine – but if you’re anything like me, it was seven steps too many! You’ll be happy to hear that this year – it’s all about simplifying and using less products in your routine. Having a more conscious approach to beauty, so that you don’t have to buy as much. And she’s not alone. Other skin care makers are joining this movement to simplify. Download the Spring 2017 Natural Beauty Shopping Guide to discover my favorite brands. Inside you’ll find 33 curated products, each one safe, simple & effective. With more and more people viewing skincare holistically, as part of our whole body wellness – the idea of making your own skin care at home no longer feels like a sometimes-weekend-craft. It’s a useful and gratifying skill, much like knowing how to make yourself a nice home-cooked meal. We’ve seen huge trends in eating well – and now those same foods are being embraced on the outside too. Even skincare makers go to their own kitchen pantry! You can also mix your store-bought skincare with kitchen pantry ingredients – to create something new, out of what you already have. This year is all about getting hands-on and reconnecting with food, nature, creativity and the enjoyment that comes from knowing how to make something good for yourself. 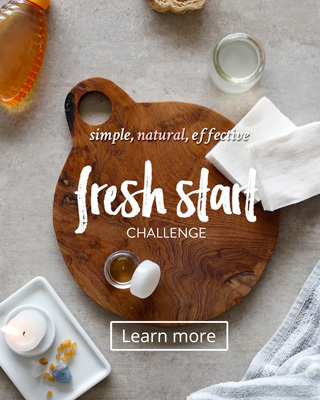 In the free 5 day Fresh Start challenge, you’ll swap your conventional skincare products for a simpler, more gentle skincare routine. It’s 100% natural and totally self-made. This year, skincare is becoming more about self care. Those few minutes a day, spent in front of the mirror applying your products – is your meditation time, an opportunity to feel present and rooted in your own body. Setting the mood with candles, has become huge. It’s about creating a calm and intentional space in your home and making time for your self care rituals with scents, beautiful skincare and the little things that you enjoy. It’s about knowing how to make yourself feel good. So that no matter what goes on outside you can always come home, make yourself a delicious body scrub, light a candle, wash off the day, breathe in the scents – and restore. 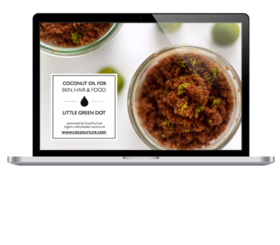 My 3-week online workshop, SIMPLIFY Skin, teaches you how to make the switch to natural beauty with ease. Creating your own personalized self-care routine will make natural skincare an unshakeable habit for you.